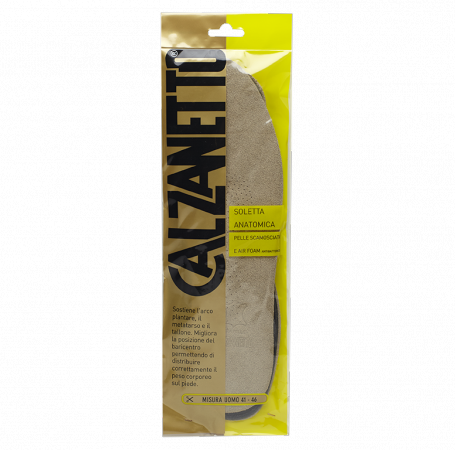 Insole ideal to support the arch, the metatarsal and heel. Universal size from 41 to 46. This product is also available in anatomical woman.